At Midstate, we are proud to be a supplier of many unique markets. Our leading markets are the Medical Field and Electronics field. We specialize in making high-quality parts that require expertise and precision. We are able to supply high and low volume jobs with layers of quality control built in. We serve a global market. 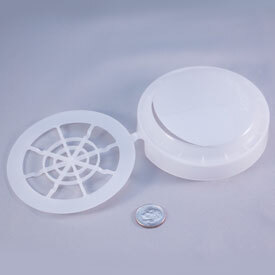 All around the world, you can find plastic parts produced by Midstate Mold. For clients located in New England, New York, and New Jersey we have a central location. Close proximity provides comfort for some clients while some do not mind longer distances. Either way, we are dedicated to upholding our high expectations or professionalism and quality. We understand the importance of absolute certainty in the quality of consistency of medical pieces. For many years we have molded parts for the medical industry and have developed detailed verification and tracing systems. This part is used as a mouthpiece for asthma and COPD testing. For many years we have produced parts for pumps using high-quality plastics and involving detailed quality control. Here is one example of a part from a Life Science company. We produce device components for industrial manufacturing focusing on high-quality, high-precision molding. 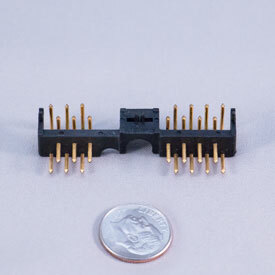 Though we are a very flexible company, our specialty is low-volume electronic manufacturers who are looking for reliable, high-quality, high-precision molding. If low-quality, mass-produced electronic parts are failing you, we may be a good partner.